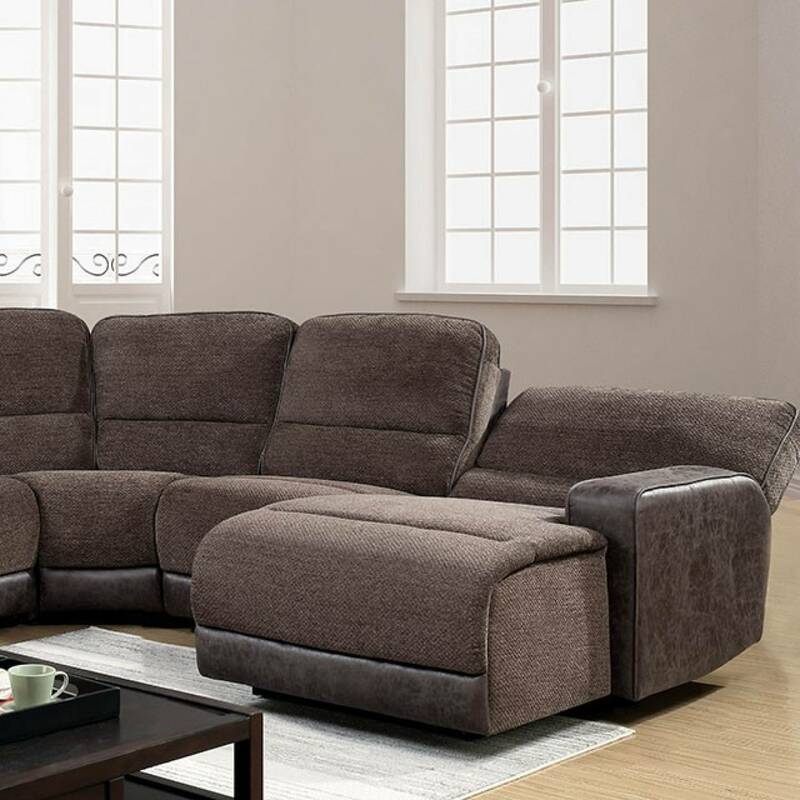 If your friends and family like to gather around and relax, maybe chat and catch up, this sectional sofa is just the thing you need to ensure everyone has a good seat. The chenille upholstering soft and contrasts wondrously with the flannelette arms and padded leg strip. The rounded nature of the back pillows, arms and chaise give this sectional a comforting and inviting air.